Product prices and availability are accurate as of 2019-04-24 16:48:17 UTC and are subject to change. Any price and availability information displayed on http://www.amazon.co.uk/ at the time of purchase will apply to the purchase of this product. 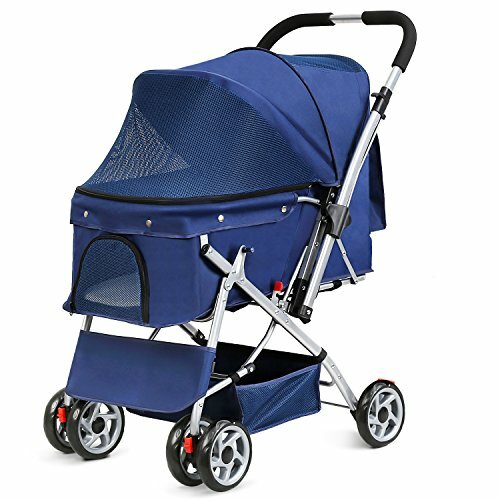 This Large Pet Stroller is a wonderful mobility aid for larger dogs (up to 50kg)! Being outside can improve and lift your dog's spirit and this protective mobility aid can help them enjoy the outdoors, even if they are unable to run and play like they used to. Is Sunshine Bad for Dogs with Cancer? We hope this helps in caring for your dog and increases their happiness!